Christian Horn became the first player in Red Knight history to reach 200 career points. His statistics and others are available by clicking on the seasons below. TJ Moore is 5th on the all time leading scorers list. 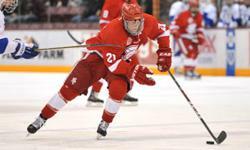 He centered one of the most prolific lines in Minnesota High School hockey history. You can check out the Red Knight scoring records here. BSM goalie records can be found here. Cade Gleekel tied a school record with seven game-winning goals during the 2015-16 season. A complete list of individual and team records can be found here. 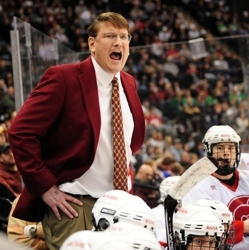 In 24 years as BSM's head coach, Ken Pauly has set virtually all of the school's hockey coaching records. Red Knight coaching records can be found here. 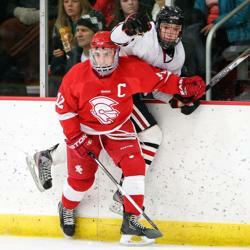 Grant Besse shattered nearly every BSM scoring record during his illustrious four-year career, capping his senior season in 2013 by becoming the first Red Knight to earn the coveted Mr. Hockey Award. You can see a list of BSM award winners here.